At a time when some health insurers are abandoning Obamacare, one carrier is stepping in to cover Nevada residents at risk of having no options on the state's exchange next year. Centene, a growing player in the marketplace, announced Monday it would provide coverage in the 14 rural counties that were left stranded for 2018 after Anthem (ANTM) and Prominence said they would pull out. Roughly 8,000 residents currently purchase coverage on the exchanges in those areas. Centene (CNC), which will sell plans under the SilverSummit name, will join UnitedHealthcare's (UNH) Health Plan of Nevada on the state's exchange next year. The move leaves less than 400 people in two counties -- one in Ohio and one in Wisconsin -- without any coverage options for next year, according to the Kaiser Family Foundation. Insurers are split over whether to remain involved in Obamacare. Larger, publicly traded insurers, including Anthem and Aetna (AET), are abandoning the exchanges, citing mainly the continued uncertainty over the law's future with Republicans in charge of the White House and Congress. 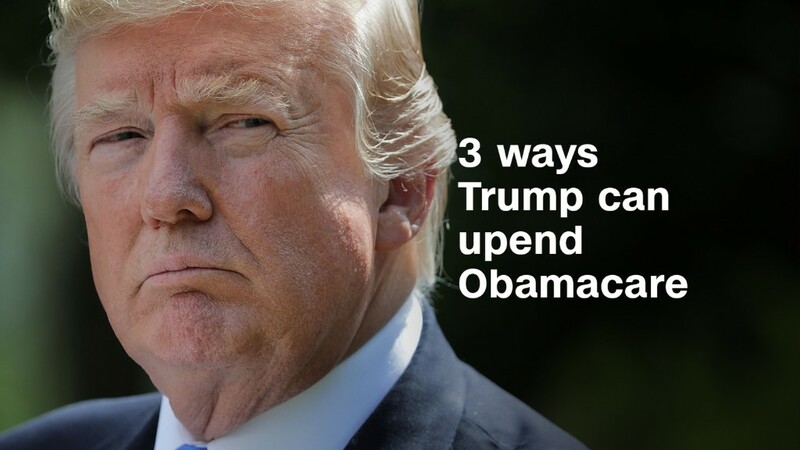 President Trump, who had repeatedly said Obamacare is dying, is urging senators to restart their attempt to repeal and replace the law. Other carriers, however, are expanding their footprint, swooping into counties left bare by these exits. At one point earlier this year, tens of thousands of Americans in more than 60 counties were at risk of not being able to purchase Obamacare policies next year. Centene announced in June it would cover 25 bare counties in Missouri as part of its expansion into that state, as well as Kansas and Nevada in 2018. The company, which had originally focused on Medicaid recipients, will offer policies in nine states next year. "Last year marked another year of Centene's successful operations on the exchanges," the company said in a press release at that time, noting that it has 1.2 million Obamacare enrollees at the end of March, more than double the number at the end of 2016. A consortium of five insurers in Ohio agreed last month to sell Obamacare policies in 19 of the 20 counties that had no options for 2018. The situation, however, could still change. Insurers have until Sept. 5 to finalize their rate requests and until Sept. 27 to sign contracts that will lock them into participating next year.